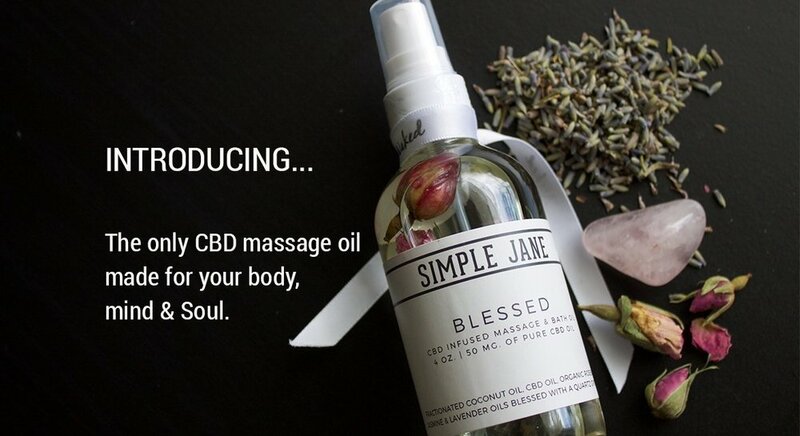 Simple Jane is a women's wellness brand, inspired by the incredible healing power of CBD. I am the co-owner and Sales Director of Simple Jane, and started working with the brand in May of 2017. My partner in cannabis, Angella Hamilton, is the CEO and chief officer of all things creative. Together, we have been navigating the unique and (at times) challenging landscape of the cannabis business to built a luxury brand for the modern woman. I am so glad you asked! In a hemp-shell, CBD is the non-psychoactive compound found in the cannabis plant. It is derived from the hemp side of cannabis (the one with all the health benefits and totally legal in ALL states) instead of the marijuana side of cannabis (the one that gets you high with the more recognized compound THC). There is a great blog post about the health benefits for women using CBD here on the Simple Jane blog. I am an active advocate of the benefits of integrating cannabis into a healthy lifestyle. Interested in cannabis brand consulting? I welcome working with luxury and boutique cannabis brands creating inspiring and wellness focused content. Check out the video we created for the launch of Blessed!